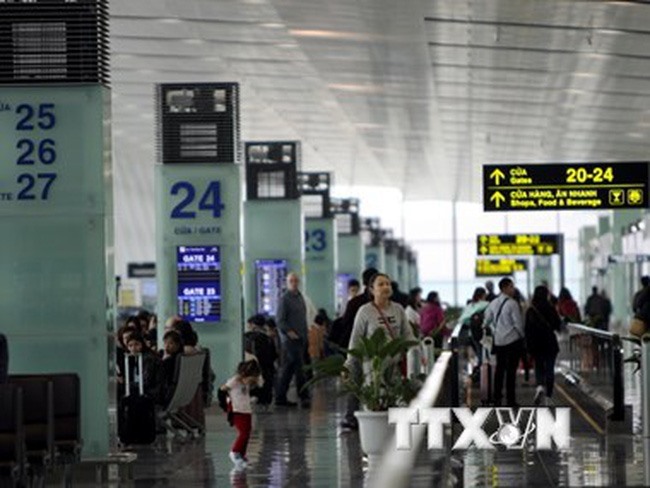 HÀ NỘI — The Civil Aviation Authority of Việt Nam (CAAV) has ordered airlines to improve security, flight safety and service quality to better serve passengers during the upcoming New Year and Lunar New Year (Tết) holidays. As usual, demands on the country’s infrastructure are expected to sharply increase during the holidays. Võ Huy Cường, CAAV deputy head, told all airlines to ensure pilots, flight attendants and technicians follow regulations on flight safety. The busiest airports such as Nội Bài, Tân Sơn Nhất, Đà Nẵng, Vinh, Cam Ranh, Phú Quốc and Cát Bi were told to focus on flight safety during this time, he added. The airlines were asked to allocate enough staff to deal with any incidents and minimise delayed and cancelled flights, he said. Cường also directed the Việt Nam Airlines Corporation to make its own plan to serve passengers during the holidays. The corporation should check its infrastructure and facilities, and then take measures to repair or maintain runways and parking lots if necessary. The Việt Nam Air Traffic Management Corporation had to allocate more staff to ensure operations run smoothly when additional flights are changed or weather conditions worsen.